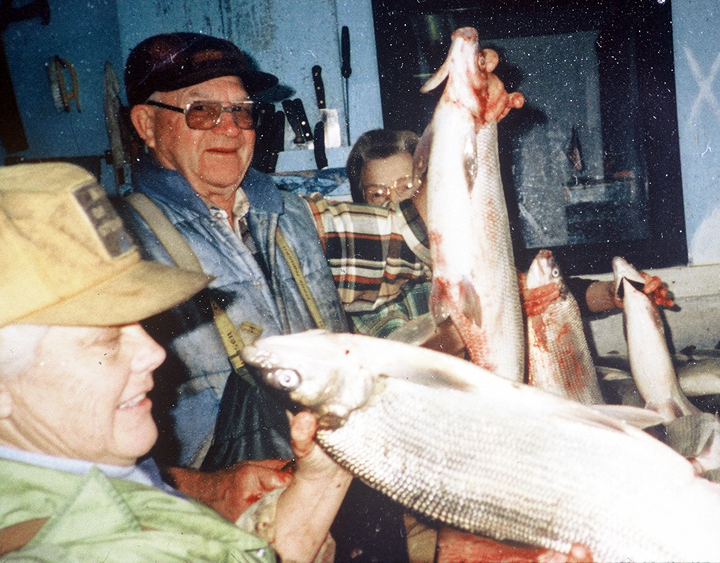 Our family and many of our neighbors have been fishing commercially in Green Bay and Lake Michigan from the time they arrived in Northern Door. 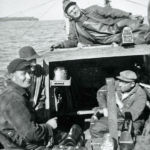 My father, Harlow Nelson, fished with his uncle Stanley Voight and the Johnson brothers out of Sand Bay around Spider Island. He had awful sea sickness every boat ride. My great great grandfather on mother’s side, Ingebret Johnson, came from Norway to the county in 1853 and lived and fished on Rock Island for many years before he moved to Liberty Grove. My great great great grandfather Torkel Knutson and all his sons and many of his grandsons fished in the bay around the Sister Islands. 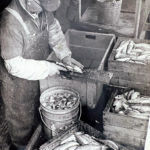 They fished for herring, perch, sturgeon, lawyers, chubs, and whitefish. They missed the cod from the waters around Norway, but liked the abundance of these freshwater fish, and they were great to eat. 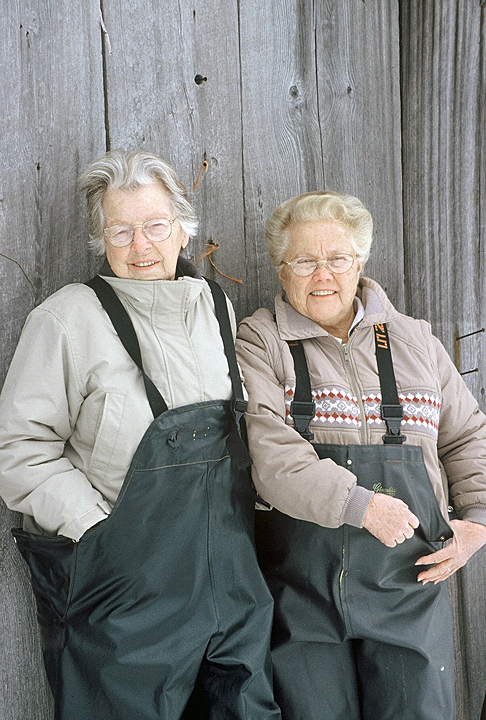 In Norway and Sweden, cod fishing had been done by gill nets, so when they came over here, they knew how to do the same and were able to feed their families and earn some income. You couldn’t leave the fish hanging in the gill in nets too long or they would die and go bad. This kind of fishing required checking the nets daily. 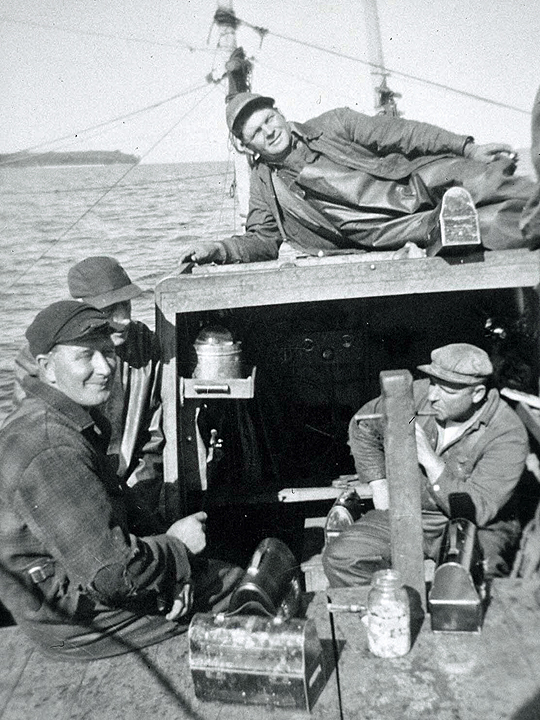 The Swedes, Norwegians were fishing like they had been when they were growing up. 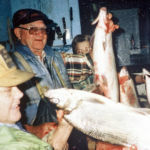 arriving here and being able to fish the same way with plentiful catches was a real blessing. The other type of nets they used were pond nets. They are like fences that form a heart and head the fish into the middle pot where they stay trapped. I remember standing on Melvin Knutson’s crib dock and looking out in the bay at the long line of poles set east and west. The net would be suspended straight up and down in the water with lead weights along the bottom and wooden floats along the top headline. As fish swam into the net, their heads would go through but not their bodies. Melvin Knutson would go out in the pond boat to lift the net and hope that it would be a big haul. 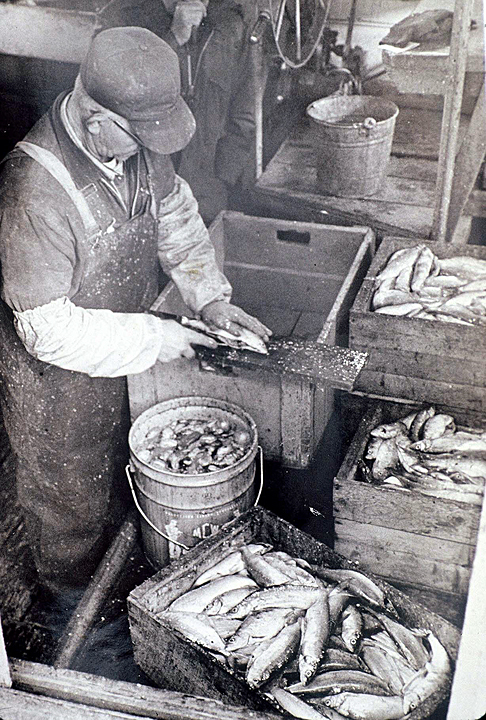 He brought the fish in , so they could scale, gut and fillet the perch. 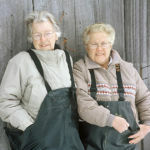 Gretna Johns and Elaine Johnson were the first to process perch and make them a item on the menu. In the old days they used an ice house to store the fish until they could would peddle the fish to the local stores and restaurants. The ice house was a small building set up on beach stones back in the cedars. It was filled with huge chunks of ice that had been cut from the bay the previous winter and then hauled up on the beach by horses. The ice was stacked in the ice house with saw dust to keep it from melting. It worked pretty darn good until electric refrigeration came into being. There also was a smoke house near the dock for smoking the chubs. I’ll describe how the fish shanty looked to me in the 1950’s. Melvin’s fish shanty was built out on part of one short dock. It had a wood burning stove, a high bench or cutting table along the whole west wall and a small, square trap door in the floor. When the trap door was opened it exposed the clear water and smooth white beach stones below. It was used when cleaning up after the fish were dressed. Buckets of water were thrown over the table and floor and swept down that hatch. There was a calendar on the wall, a row of nails from which hung oilers and aprons, and a light bulb in the ceiling. Sometimes empty fish boxes and boxes of clean nets were stacked in the corner. There was also a strange machine that looked like a small elevator. From hooks one could hang perch by their tails and as they moved along the conveyor they got scaled. It was a wonderful place for a kid to play! Outside the fish house was a small harbor created by another much bigger dock. This one extended from the shore on the north side of the shanty out into the bay and then made a right angle to the south towards Sister Bay. This protected the pond boat and the fish shanty from high seas and ice shoves. the old docks were wooden cribs that got filled with stone. For hook and line fishing these docks were wonderfully because many fish liked to hang out by the old wooden crib. When they fished in deep water, the fishermen started out before dawn to lift the nets they set the day before. They would go maybe three hours out from shore and it would be mid afternoon before they returned. It was hard work and sometimes you made a living from it and sometimes you just scraped by. And sometimes the water claimed a life. The story goes that Torkel Knutson drowned in the waters of Green Bay in June of 1896 when he was 77 years old.